Also known as Large Speckled Calico. 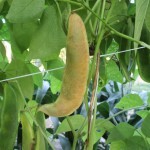 This heirloom lima bean was first cultivated in the U.S. around 1840. 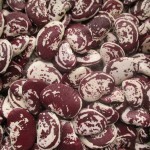 It can be used fresh as a shell bean or as a dry bean when fully mature. Full, rich flavor for soups or baked beans. 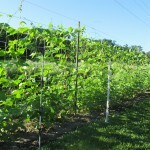 This variety will need to climb on poles or a trellis. Christmas is very dependable and productive, bearing even during extreme heat. Plant in the spring 2 weeks after last frost date. 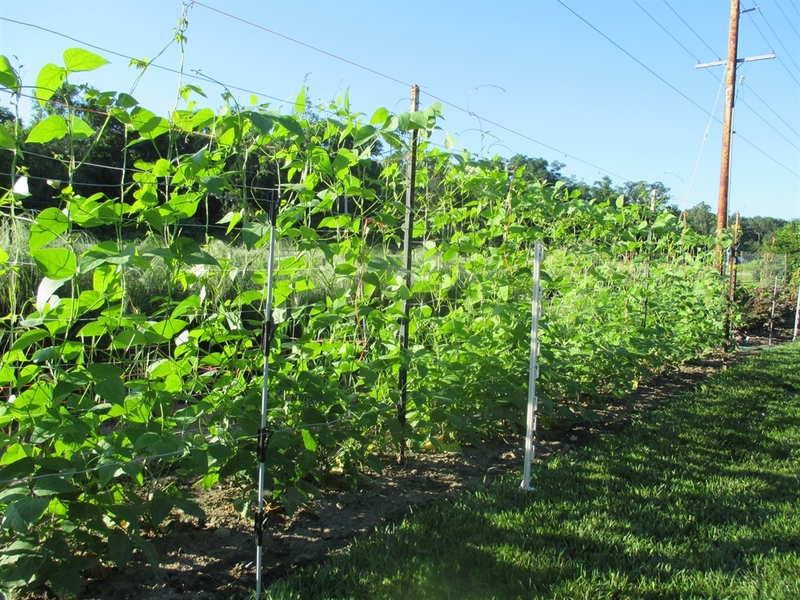 Lima beans generally require warmer soil to germinate than snap beans. Plant 1″ deep and 2″-3″ apart. Requires full sun and well-drained soil. 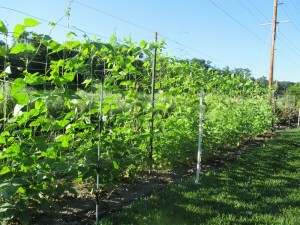 In Northern Indiana, harvesting for dry beans will start at the end of August and last until frost. 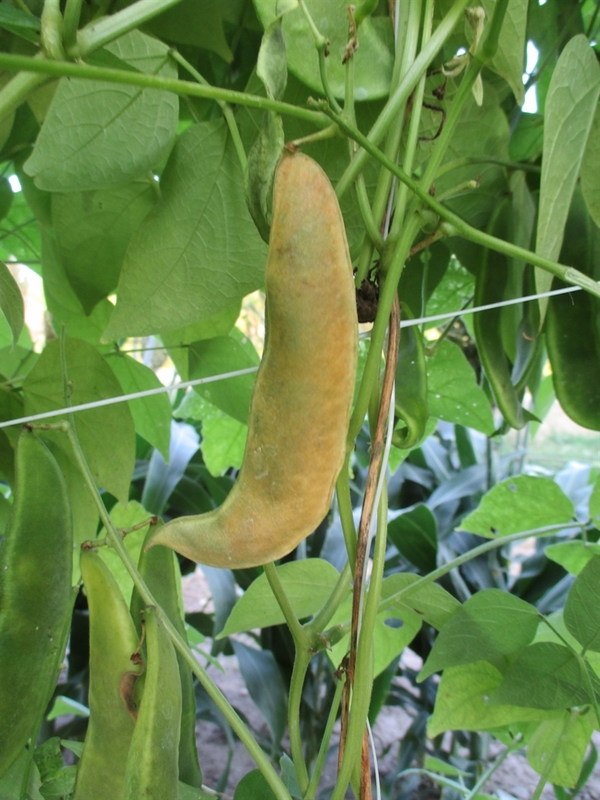 When the pods begin to turn yellowish- brown and dry out, they are close to full maturity. The pods will naturally crack open a little and are then ready to pick. Do not wait too long, otherwise the beans will “shatter”, spilling out, onto the ground. Once harvested, I bring the beans indoors and allow to dry for another two weeks before threshing. This variety is very easy to thresh using the “pillowcase dance” method. Put your dry pods into a pillowcase and simply dance on top, crushing the pods inside, and releasing the beans. Winnow in front of a fan to remove the empty pods and debris. After this, I reccomend allowing the beans to dry indoors a couple of weeks more before storage. 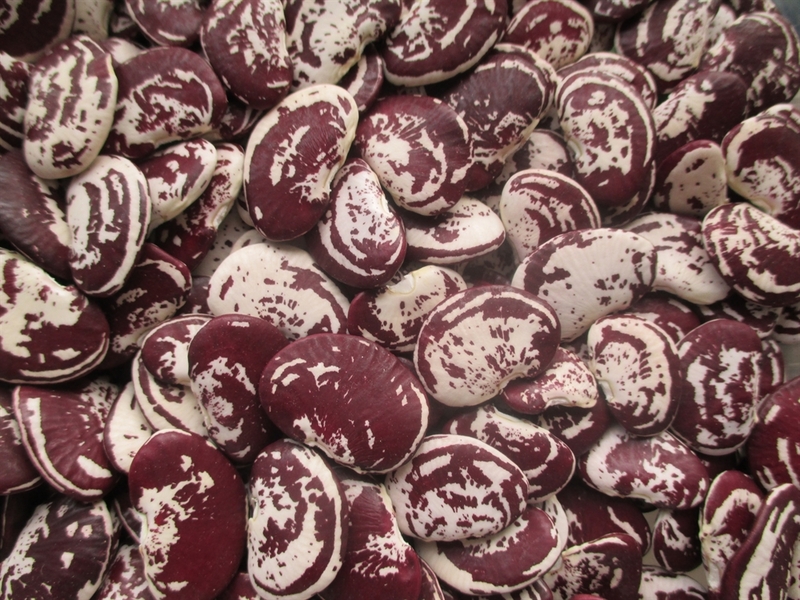 Seed saving: Isolate from other lima bean varieties by 125′.